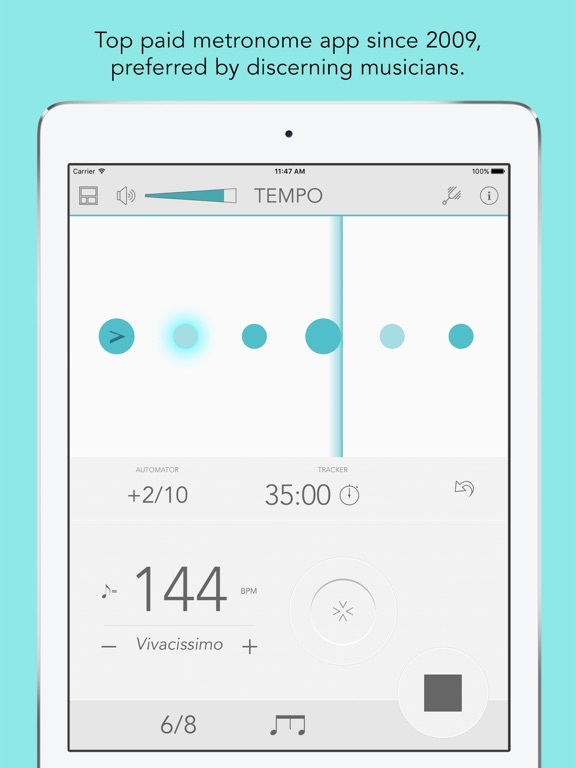 Tempo is the bestselling and most accurate metronome on the App Store. 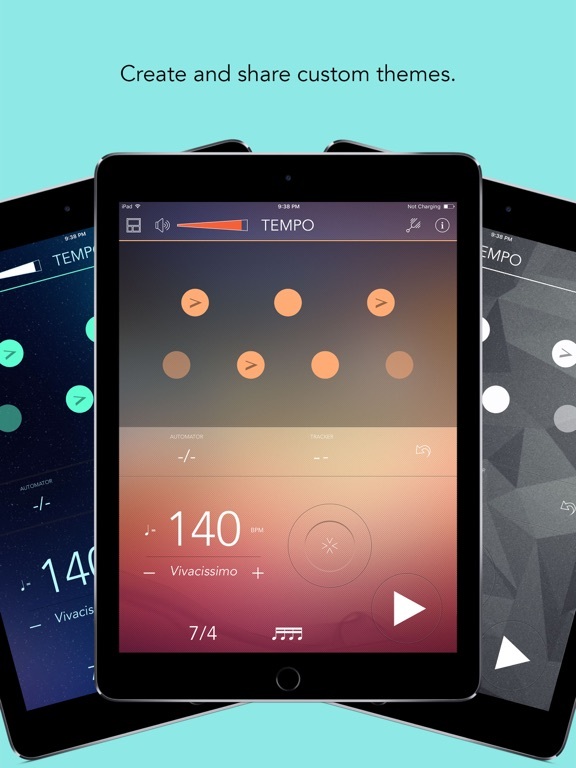 Featured as "New and Noteworthy" and "Staff Favorite" by Apple on the main iTunes landing page. 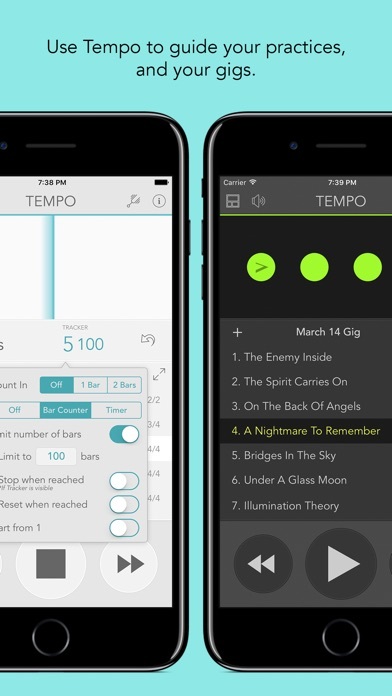 If you'll like to try Tempo out before purchasing, download Tempo Lite for free now. 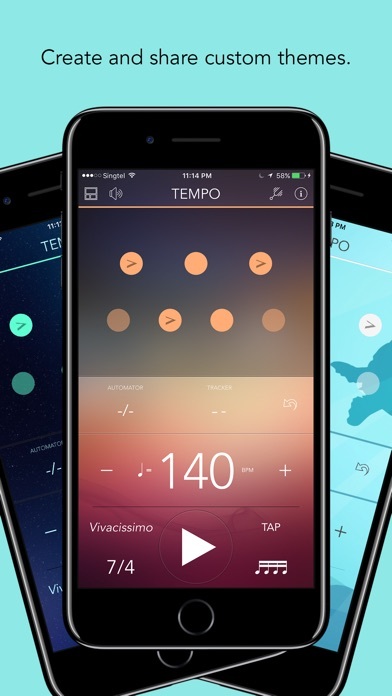 Ever since its release, Tempo has been consistently in the top 100 of the Music category in over 30 countries, and the top paid metronome app in most countries. 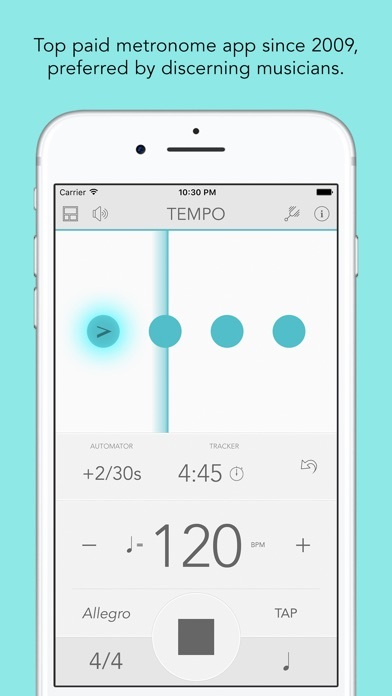 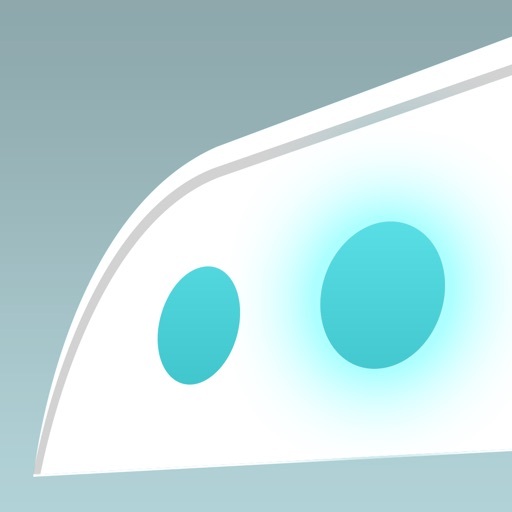 Tempo's engine is written from the ground up for high accuracy and stability. 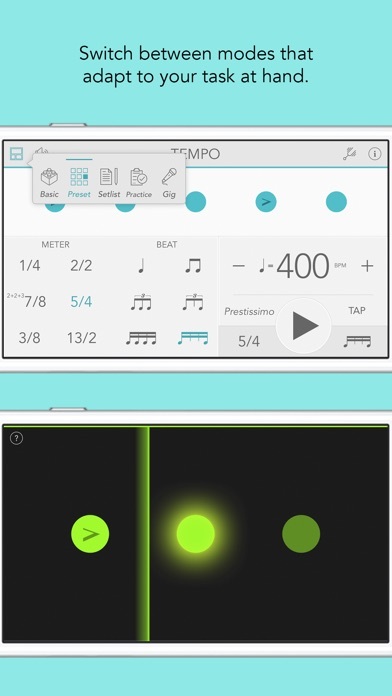 It keeps going even in device lock mode, making it a useful aid for live drumming. 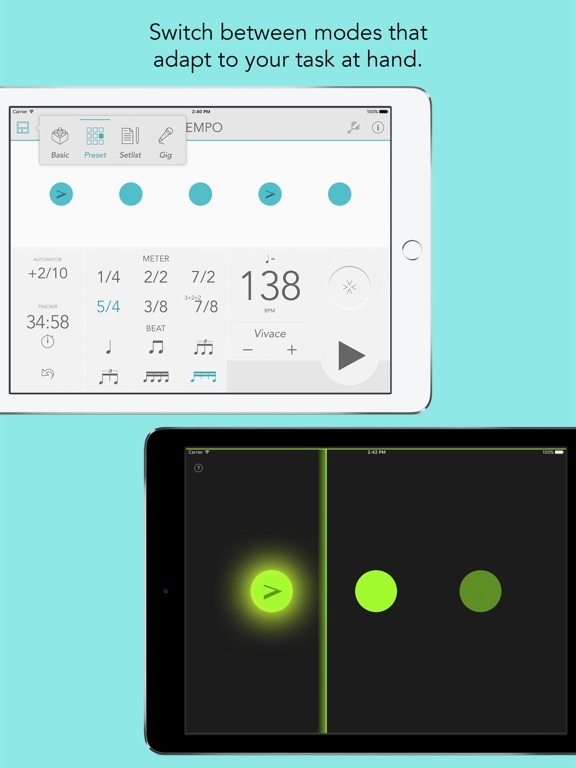 Tempo features an innovative interface that morphs between modes that each presents a different combination of functionalities optimized for the task at hand. 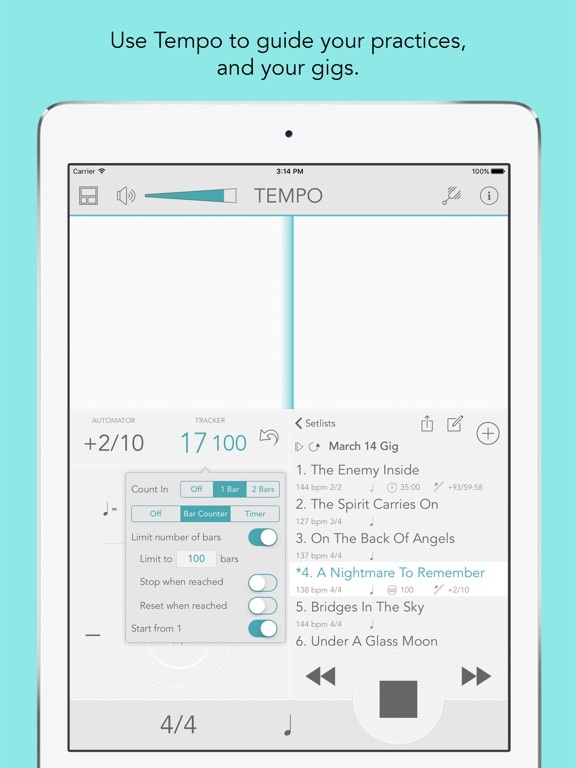 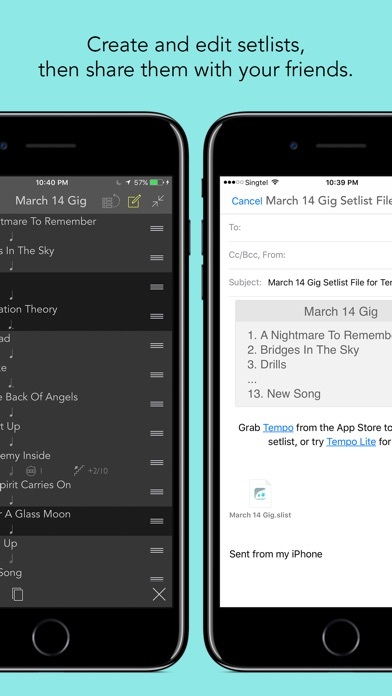 Five modes are available on the iPhone: Basic, Preset, Setlist, Practice and Gig. 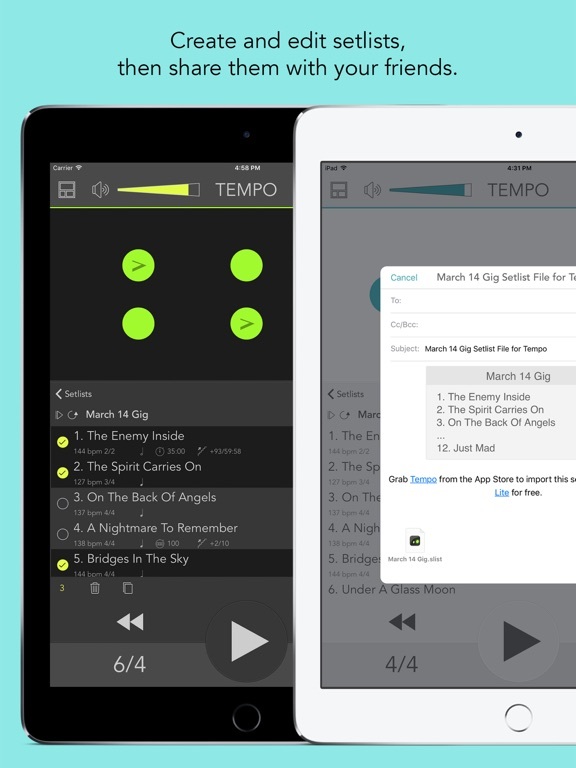 On the iPad, Preset, Gig and Complete modes are available, the last providing access to all controls.